We really liked Carmel Senior Living but were a little disappointed with the whole campus and where it was. There were lots of activities, like trips to places and concerts on a bus, which is a great. They have lots of different exercise classes in a nice exercise room with several teachers who come in to give different classes during the day, and that really appealed to me. They had lots of rooms where you can sit, read, and talk to somebody. They had a library and rooms where you could have a private party if you wanted. They have three meals a day in a dining room with a lunch bar. You can go there any time to get a sandwich or hamburger. Everyone was very friendly and helpful. The best way to get to know a community is by scheduling a tour. See the facilities, meet the staff and residents, and get a feel first hand what it's like to live at Carmel Senior Living Assisted Living. Nestled in scenic city of Carmel, just a quick drive north of Indianapolis, Carmel Senior Living is a newly built retirement community that has all the amenities seniors need to craft the retirement they've always envisioned. From our At Your ServiceSM hospitality to our engaging activity program, you won't find a better place to call home. Carmel Senior Living is owned and operated by Spectrum Retirement Communities, LLC, a leading developer of retirement communities across the country. At Spectrum, our goal is to provide affordable luxury living to all seniors. Our luxurious accommodations come in a range of studio and one- bedroom floor plans. All apartment homes come with full kitchens or kitchenettes, private bathrooms, in-suite climate controls and 24-hour emergency calls systems for added safety and security. And the patio or balcony is the perfect place to watch the gorgeous Indiana sunrises or sunsets. Life at Carmel Senior Living is always dynamic and exciting with on-site amenities such as a full-service beauty salon and day spa, a state-of-the-art exercise and physical therapy center, an in-home theater for live entertainment and a gourmet demonstration kitchen for community events or private use. The green thumbs at our community love the greenhouse and outdoor garden areas. Residents of our community enjoy a number of convenient services including scheduled bus transportation to local appointments, weekly housekeeping, restaurant-style dining in the elegant dining room and the European-style bistro, and of course there is our At Your ServiceSM concierge program. When you need supportive services to remain independent, we will craft a care plan that outlines the level of assistance with activities of daily living that is needed. We also provide in-house physical, occupation and speech therapy, along with monthly health screens and blood pressure checks. 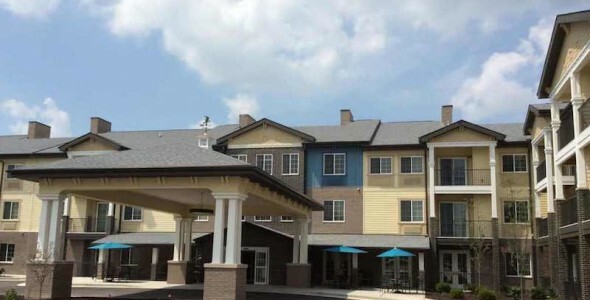 Carmel Senior Living offers Indiana seniors vibrant retirement living with top-notch amenities and world-class service.